Last year, we saw countless #foodporn and #whatsonmytable flatlays on Instagram. However, the social media platform has now gone way beyond simple snaps of food. 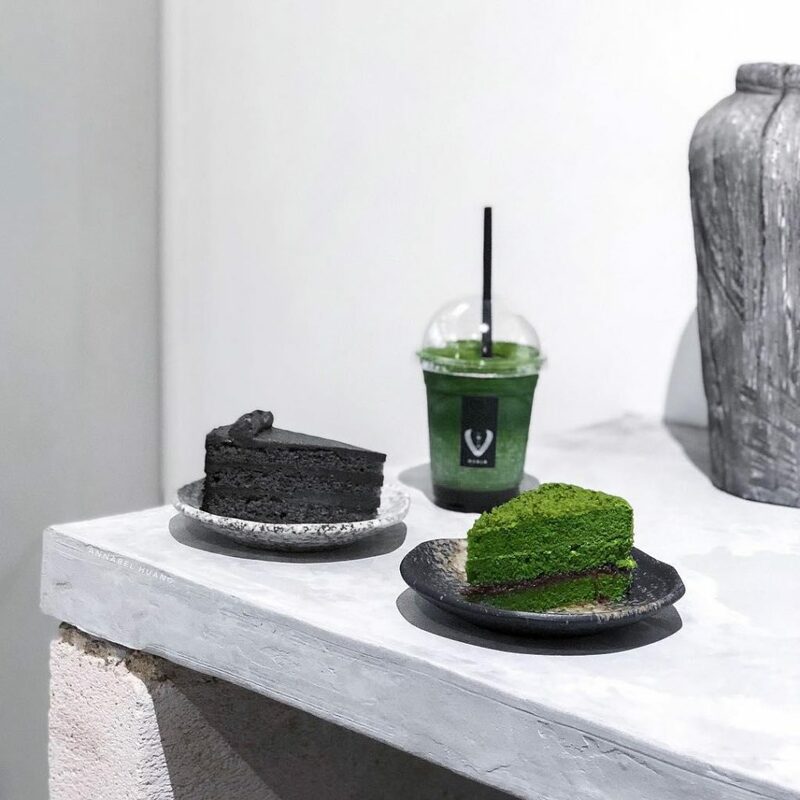 New cafes sprouting all over Singapore have caught on to the Insta-action, and are now tempting us with their chic and aesthetic vibe on top of fancy nosh. 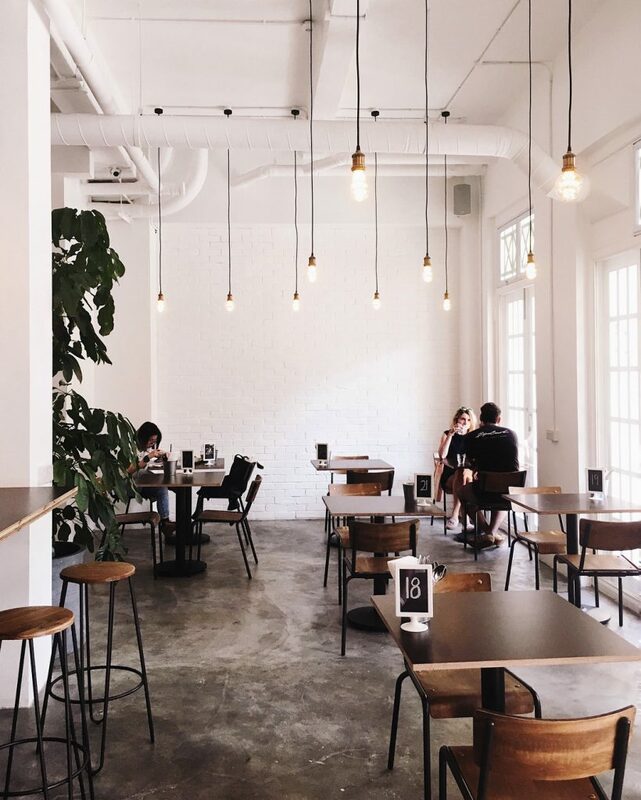 Here’s a list of beautiful cafes to check out when you want to up your Insta-game. Weekend brunch at Five Oars Coffee Roasters is a must. 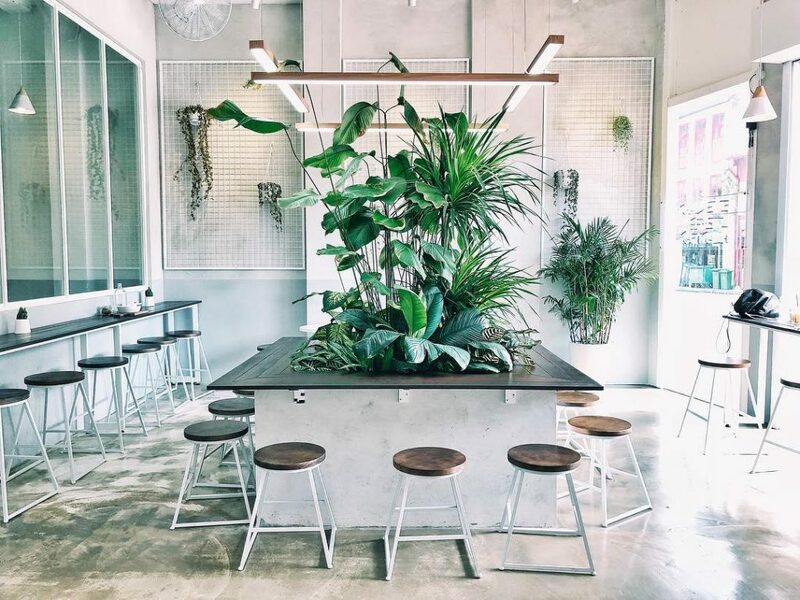 Nothing revives an Instafeed like luscious green plants, wood accents, and cement floors. If you have never been here, expect a sort of Melbourne cafe scene meets Scandinavia vibe. The centrepiece for this cafe is a huge table filled with plants in the middle; make sure to come early for a seat on the most coveted table. Five Oars Coffee Roasters offers that extra dose of fancy with their dishes plated beautifully. The prices here might be on the higher side, but you will not be disappointed in the taste department. 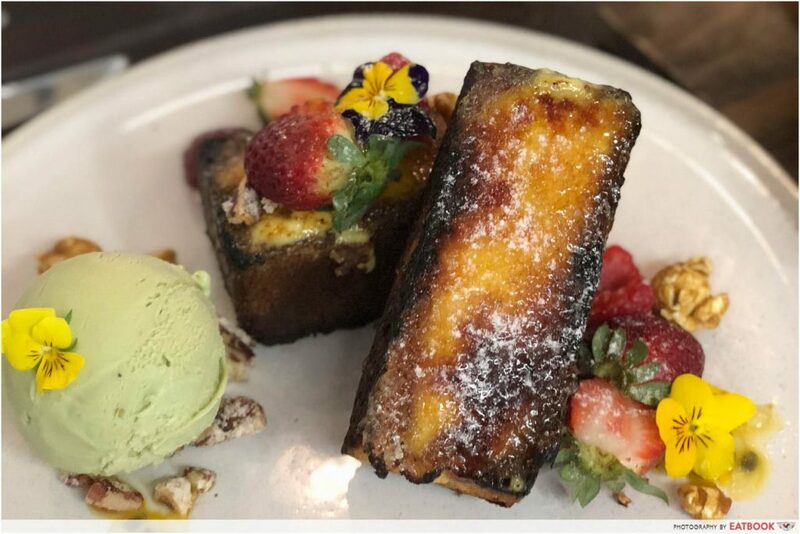 Dishes to try in their day menu include Croque Madame ($21+), a thick brioche sandwich with duck confit, egg, and cheese, and Creme Brulee French Toast ($18.50+) if you’re looking for something sweet. 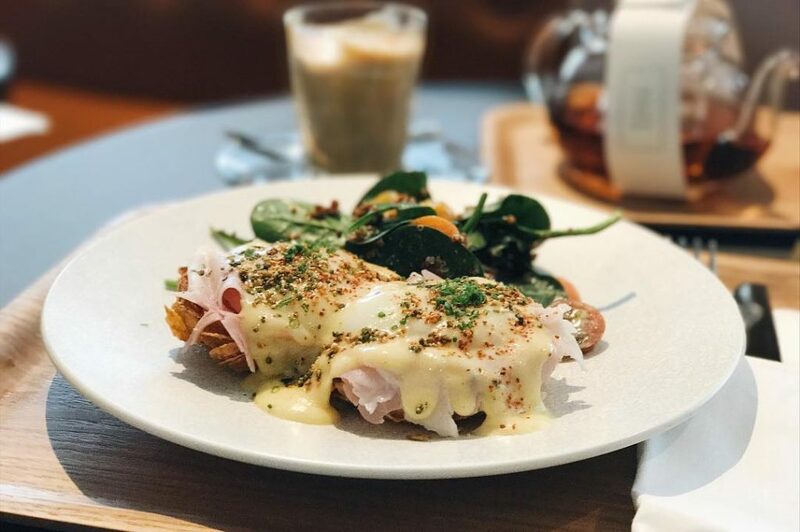 It is notoriously difficult to find a nice cafe with good natural lighting, but in the case of Twenty Eight Cafe, you need not worry. 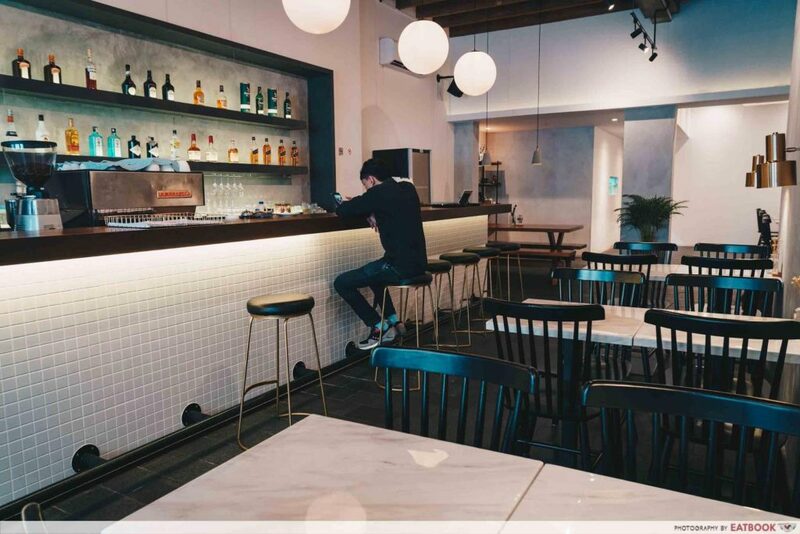 Unpretentious to a T, the cafe is also minimally decorated with an industrial chic interior design. The colours are a chic mix of grays, and neutrals like black and white. This space also makes for a good place to do work or study at, as it has charging ports and free Wi-Fi. 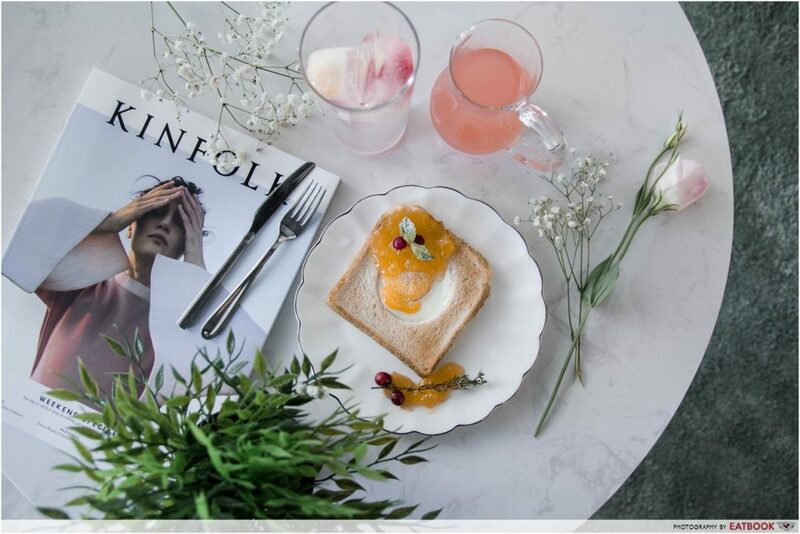 Those who love breakfast, but never seem to be able to wake up in time for it will be glad to know that Twenty Eight Cafe serves breakfast all day. Get your fill with the Common Breakfast ($22.90) that comes with sausage, eggs, sourdough toast, bacon, beans, grilled tomato, mushroom, and hash brown, or their Eggs Benedict ($16.90), which comes with a unique bed of crispy hash. 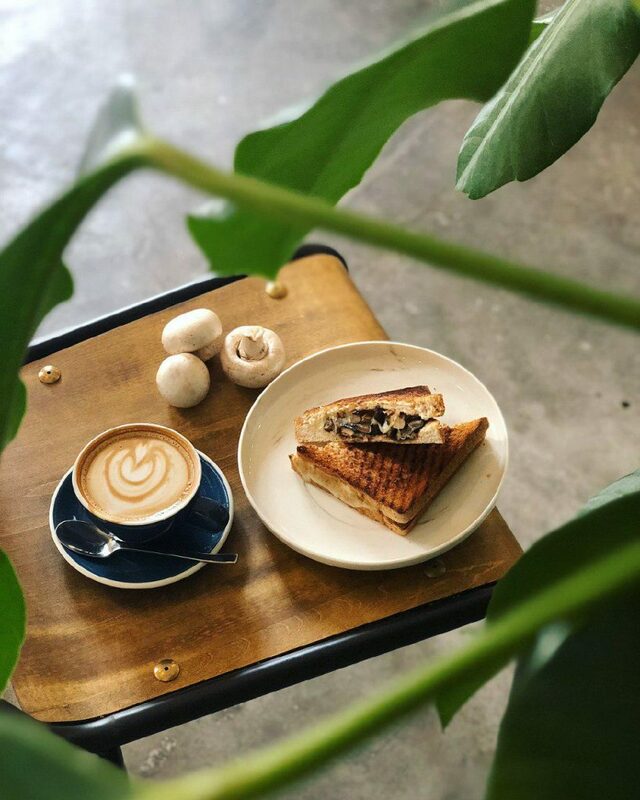 If you head down on weekdays, you can grab their Cheesy Mushroom Toastie and a cup of coffee at a special price of $9.90. 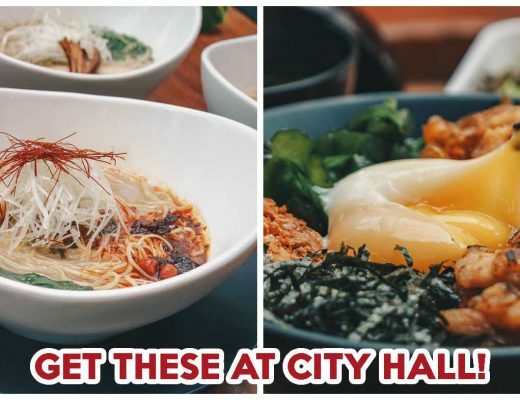 Just a 10-minute walk away from Outram Park MRT Station is Bao Makers. Give your Instagram feed a makeover by making use of their Kinfolk-style decor, in addition to their glorious #foodporn. I suggest first taking a nice #OOTD with their retro storefront, before heading in for the food and more. 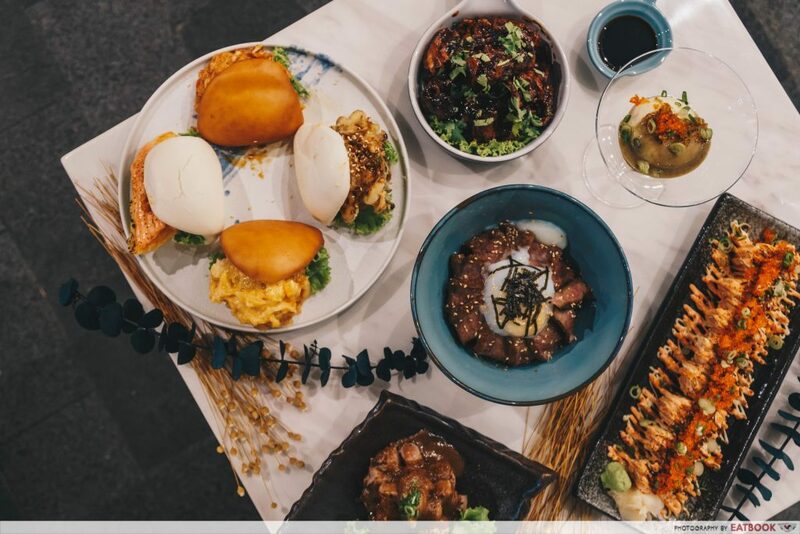 Dishing out inventive and quirky spins on Chinese and Japanese cuisines, signatures include Chilli Crab Bao ($5.80++) and Salmon Mentaiko Bao ($5.80++). If you’re here for lunch, get their Teriyaki Beef Steak Rice Bowl ($17.80++), a pan-seared striploin served with onsen egg and rice. If you’re here for dinner, sharing dishes you must not miss are their Sushi Rolls (from $16.80++). 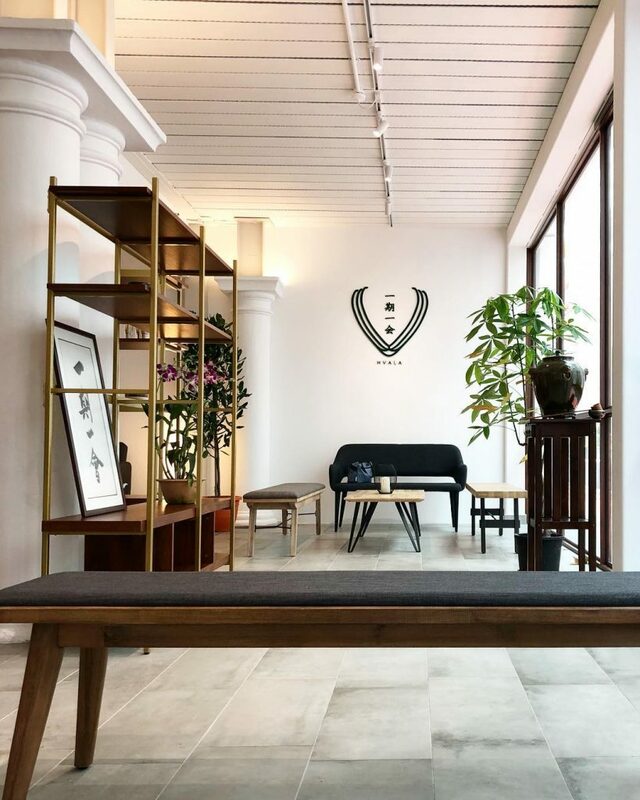 Bao Makers showcases everything Instagram is about: gorgeous food and a made-for-the-grid interior. Check out our full review of Bao Makers! Chin Sin Huan is a new cafe by the same people behind the popular bao place, Chin Sin Huan Eating House at Jalan Batu. Exuding an ‘80s flair, this is another place in the list for #tileporn and more. 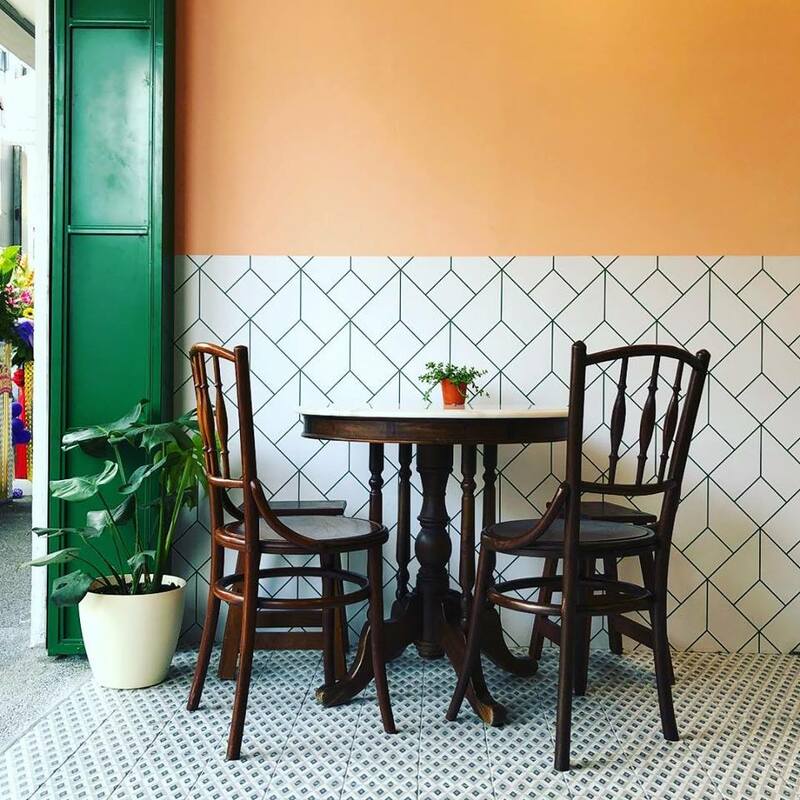 The walls are pretty in peach, juxtaposing with emerald green accents from the tiles and potted plants as well. 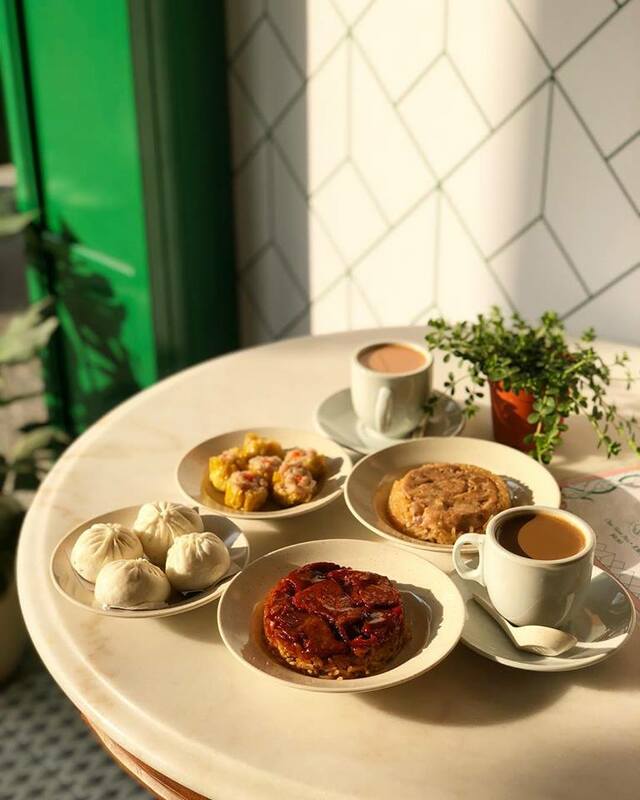 Take a trip down memory lane with old-school favourites such as Glutinous Chicken Rice ($1.80), better known as lor mai gai, or bite-sized Small Pork Pau ($0.80), Lotus Paste Pau ($0.60), and Red Bean Paste Pau ($0.60). Another hot-seller is their Yuanyang Pau ($1.30), which has a filling of red bean paste, lotus paste, and salted egg yolk. Hvala CHIJMES is a modern teahouse with a good selection of tea beverages and desserts. The cafe’s interior echoes the simplicity of tea with clean lines and curves. With earthy tones of brown, grey, and black, this is the place to visit to wind down on weekends. Natural light is the foolproof formula behind every good photo, and Hvala CHIJMES is not short of it at all. Unlike a typical cafe, Hvala CHIJMES has a longer drink menu than dessert menu. You will be spoilt for choice as there are four full pages of drinks to choose from. We recommend the Matcha Houjicha Latte ($5.80) for the best of both worlds. Another must-order is the Goma Cake ($7.50). Its cream-to-sponge ratio is just right. Dense and moist, every bite is chock-full of the aroma of black sesame. Katasumi Koohii is one of those places I am reluctant to share. This quaint little cafe is a hidden gem that I wish I could keep all to myself. 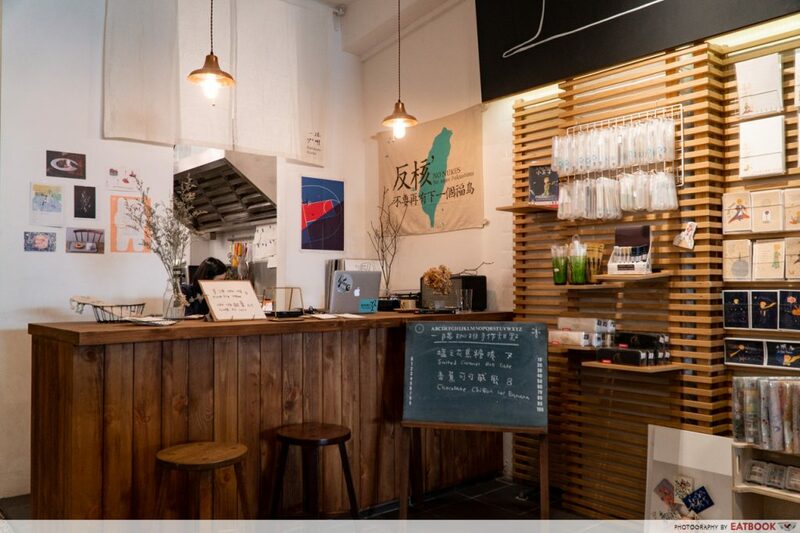 Its ambience is uber cool with a Taiwanese hole-in-the-wall vibe. With bookshelves, a tiled floor-to-ceiling wall, and antique-looking furniture, even an unassuming corner can be a good photo-taking spot. 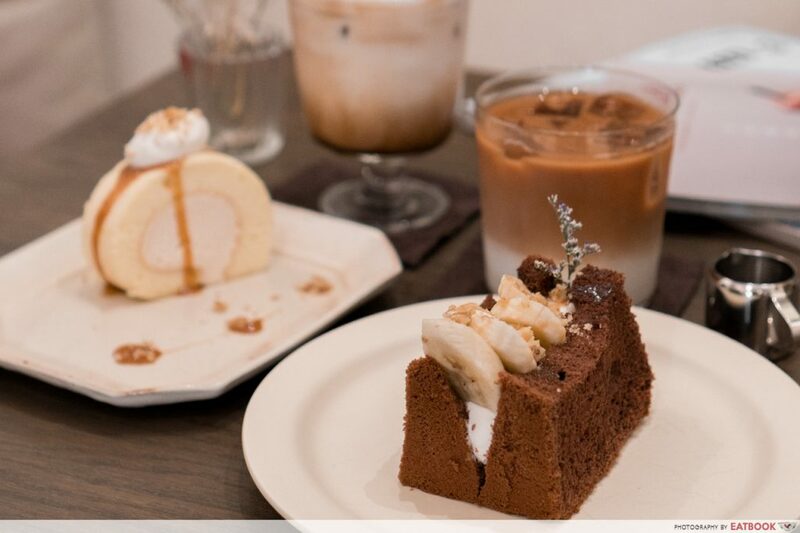 With just two cakes and a few drink options, what is offered here is limited but so tasty. I highly recommend their signature Salted Caramel Roll Cake ($7). It was dainty in pastel yellow, yet packed a creamy and salty-sweet punch. Their Iced Brown Sugar Latte ($6.50) is also a delicious pick-me-up for those falling asleep in their calm and quiet ambience. 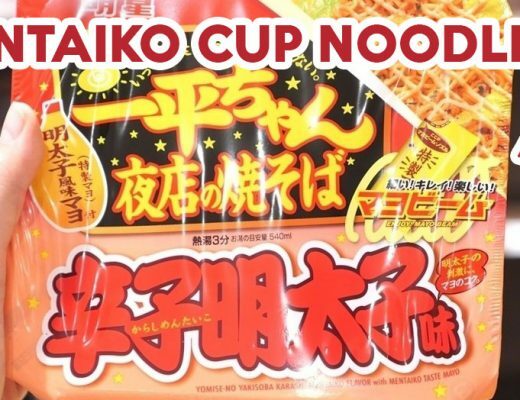 Check out our full review of Katasumi Koohii! 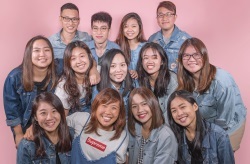 Soak yourself in vintage European vibes at Clan Cafe. 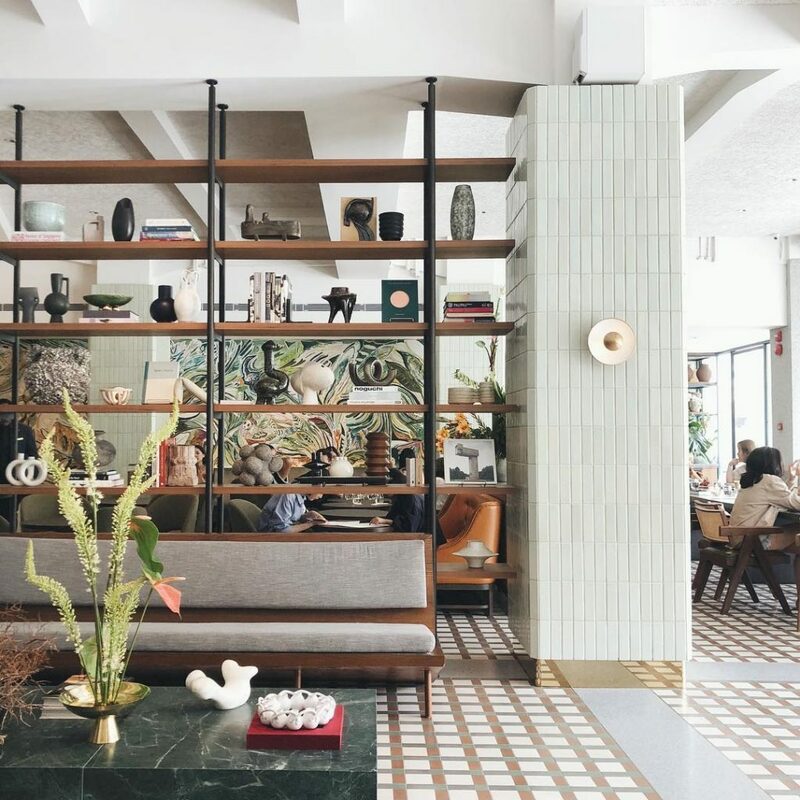 The stunning tiles, marble galore, and carefully curated furniture make it the perfect spot for a spiffy afternoon tea. Be sure to take lots of selfies with the murals as a backdrop. If you, like me, have a thing for pretty tiles, take a picture with the hashtag #fromwhereistand. Available till 6pm daily, go for their healthy yet colourful bowls such as Miso Salmon ($17++) and Quinoa Crusted Chicken ($17++). For a hearty brunch, order an Eggs Benedict ($19++) with your choice of smoked salmon or ham. It comes with thick muffins flavoured with brown butter, and a side of baby spinach salad. 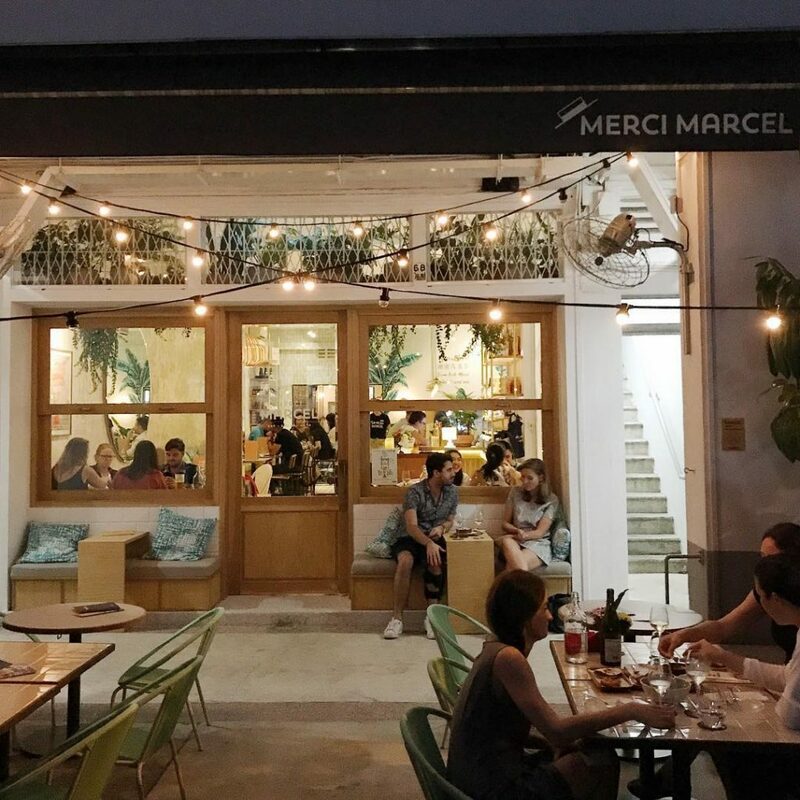 Those who frequent Eng Hoon Street at Tiong Bahru during its heydays would be surprised to find Merci Marcel taking over the space where The Orange Thimble used to reside. This French-style cafe is a brunch utopia by day, and a snazzy place for wine by night. With both indoor and outdoor seats, take your spot under the dreamy fairy lights or the surround yourselves with plants at the garden patio. Enjoy breakfast like the French with just a Croissant ($3++) or Pain Au Chocolat ($3.5++), or give their interesting mains a try. They serve a mean Ravioles de Royan ($18++), which is a French dumpling pasta filled with cheese. For dinner, ordering small plates to share is the way to go. Get the shredded Duck Rillette ($18++) with marinated pear and melted Camembert cheese, and Tarte Flambee ($24++), a thin-crust pizza with bacon, apple, asparagus, and blue cheese. 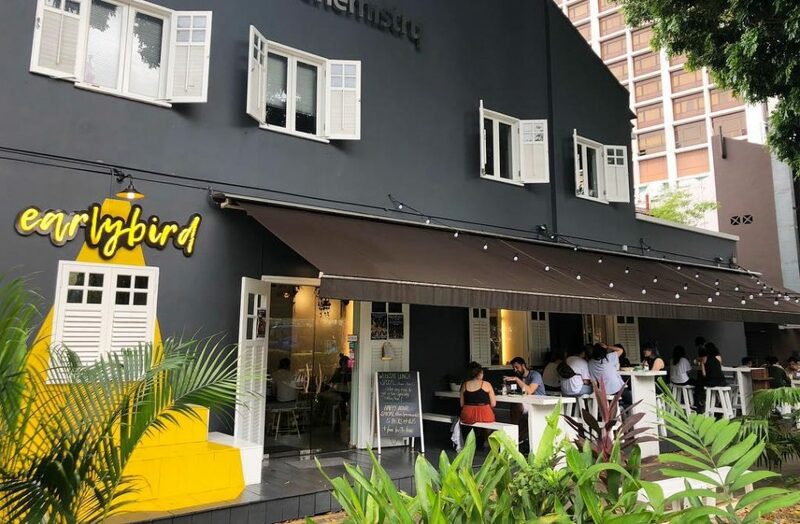 Located near the hipster Haji Lane, Earlybird offers that extra dose of sunshine at their brightly decorated cafe. It looks like a sunny paradise where little chirpy birds come to play. With yellow seats and dazzling hanging lights and plants, this is one of the top places to bring bae to for weekend brunch. 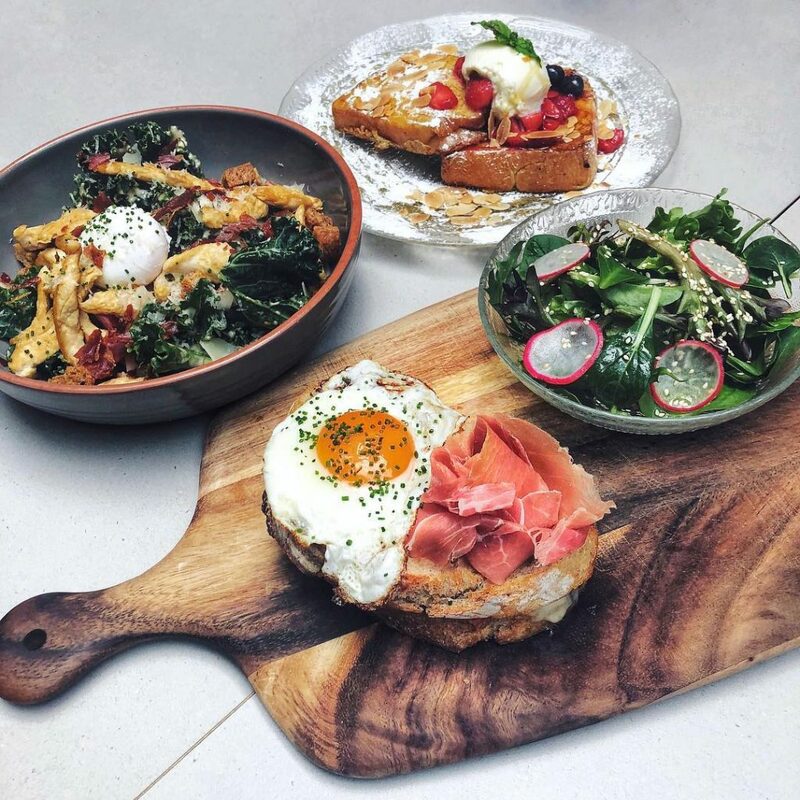 Run by the same folks behind Revelry, the dishes here are Insta-friendly as they are plated artistically. 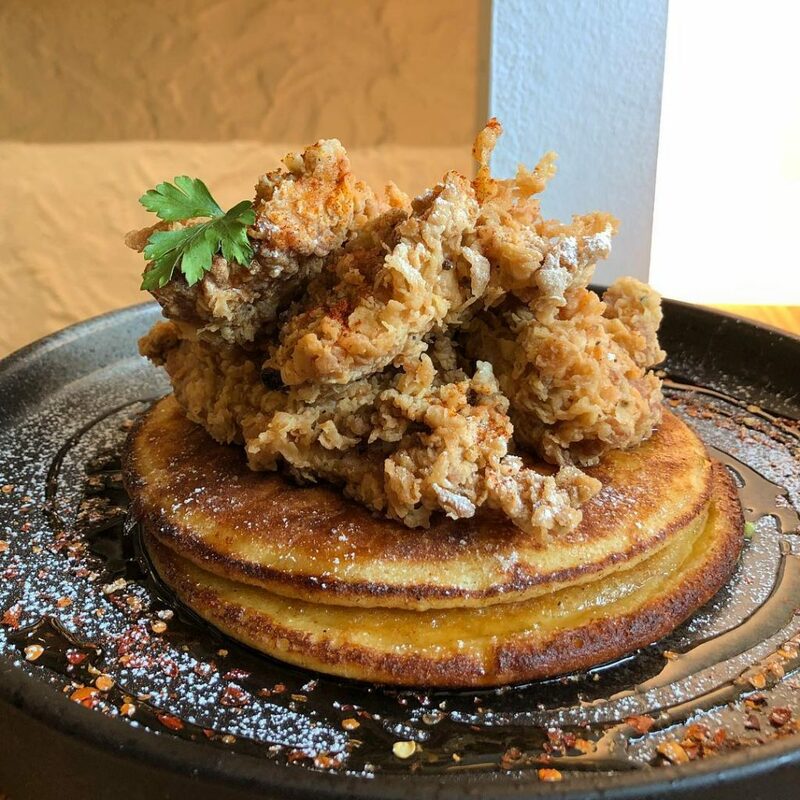 Highlights include Chicken & Pancakes ($19) stacked dangerously atop each other and drizzled with a moreish chilli maple sauce, and Truffle Shrooms ($17), a croissant sandwich of sauteed mushrooms with truffle oil and cheese. Pluseighttwo is probably one of the best spots in town to get a ‘gram, Story, and Boomerang all at one shot. 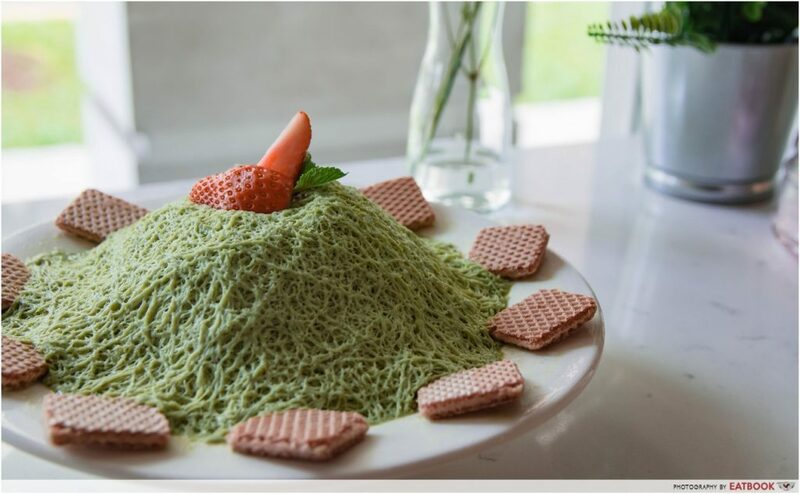 What can I say about this Korean dessert cafe, except for the fact that it’s strikingly beautiful? From fresh baby breaths to budding roses, make full use of the flowers for your best flatlays. Their Matcha Siltarae Bingsu ($17.90) blew us away in looks and taste. It doesn’t look like anything I’ve tried before, despite having been to Korea. The bingsu crumbles in contact with the spoon, reminding me of freshly fallen snow. They also offer the more common type of bingsu in Oreo, injeolmi, and strawberry flavours, with prices starting at $15.90. Check out our full review of Pluseighttwo! 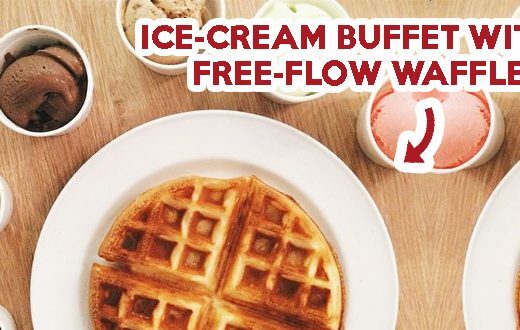 Arm yourself with this list of IG-worthy cafes to up your ‘gram game.